Welcome to these Sympathy Quotes about Death and Dying. 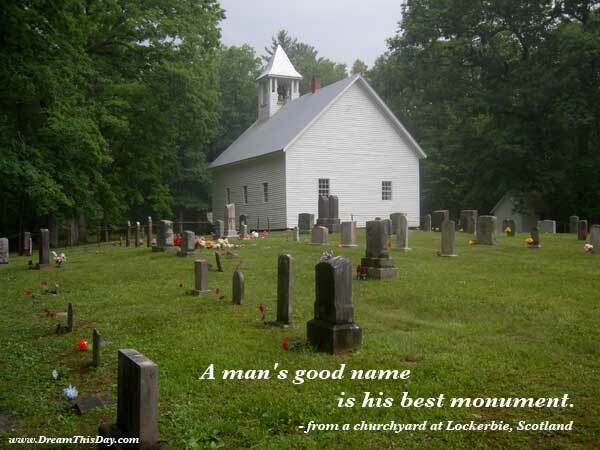 A man's good name is his best monument. The moment you start seeing life as non-serious, a playfulness, all the burden on your heart disappears. All the fear of death, of life, of love - everything disappears. Except for the saintly, all of us have doubts about what lies beyond the veil of death. our bitterest tears are called forth by the memory of hours when we loved not enough. Only through our love and friendship can we create the illusion for the moment that we're not alone. Parting is all we know of heaven, and all we need of hell. Thank you for visiting these Quotes about Death.